…I loved Rishikesh and I loved my Baba. Sometimes everything felt absolutely unreal. I was still thinking about work a lot. While I was sitting on the Ganga shore, bathing my feet in the cool stream while yellow butterflies swirled around me, I thought that in this moment I would be sitting in my grey office working on the weekly report. With a satisfied smile I wiped this image away, observed the small waves surrounding my toes, sighed and felt deeply grateful that I finally had managed to quit this job that I had been doing for so many years and never liked. He did this a lot, talking to me in hindi and I of course did not understand a dreg. But I already had learned a few words so far. 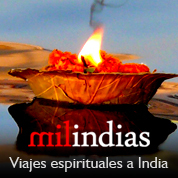 “Ek” means one; “milega” means possible. This was somewhat confusing. What did he want??? I guess, this was, when we became a couple. It was raining season and not too many tourists were around. I discovered beautiful places, but most of the time we just did nothing and enjoyed our time in the guesthouse, where we soon became members of the Last Chance family. My favourite place was and still is the Beatles Ashram. 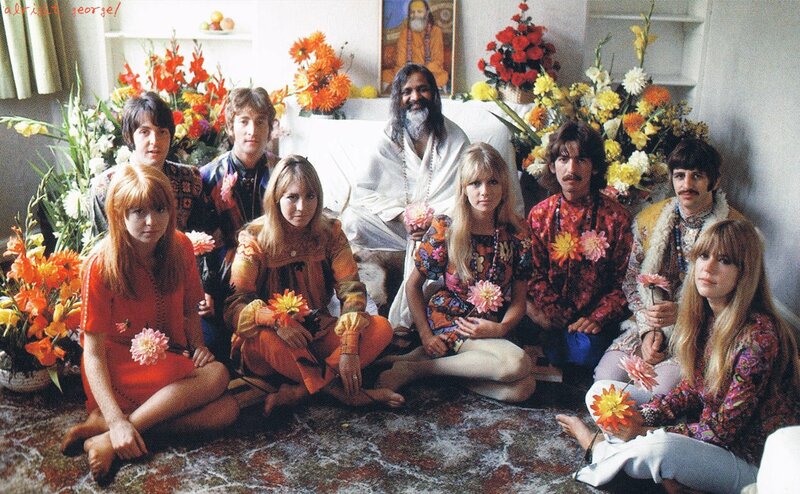 It is called that way because the Beatles came here in 1968 to attend advanced Transcendental Meditation lessons at Maharishi Mahesh Yogi’s Ashram. 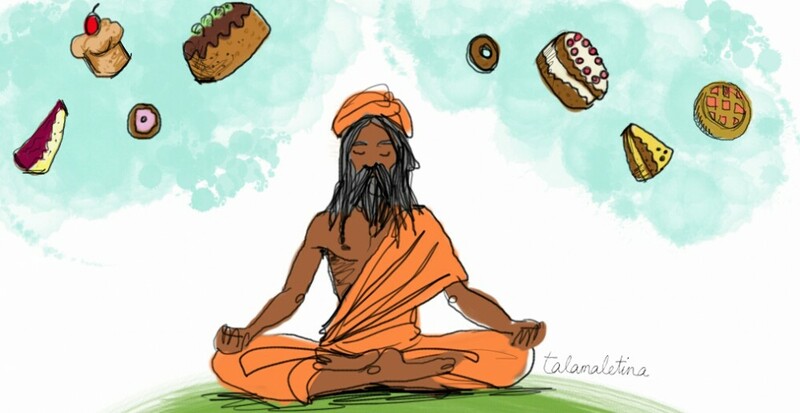 The Ashram seems to have been a little town by itself in its glorious times. It now lies in ruins and has been taken over by nature. It is pure magic to stroll through this place in the middle of the deep forest, where lianas and colourful Bougainvillea have invaded the old buildings. It is easy to imagine, what it must have looked like back in the old hippie times. It feels crazy to picture, that John Lennon walked on the same little trails. The place is also called Chaurasi (84) Kutir (hut) by the locals, as there are 84 single meditation huts inside of the Ashram. 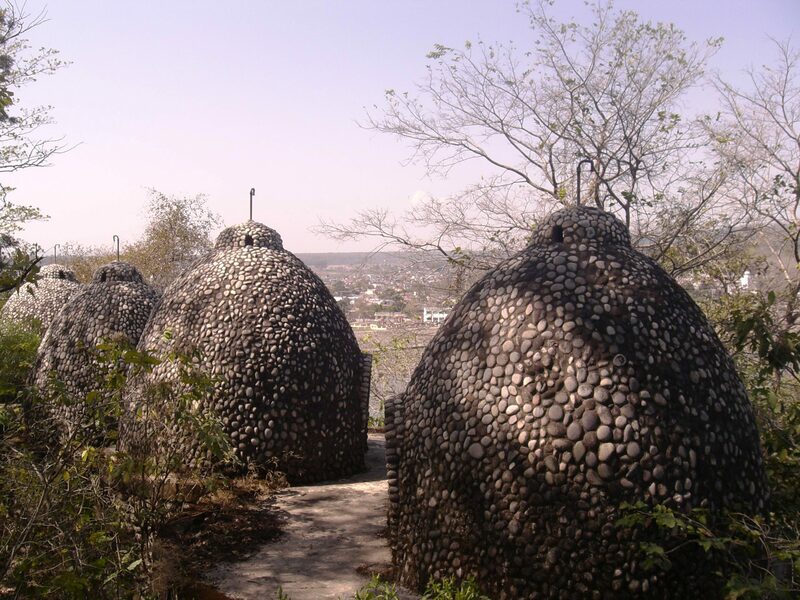 There are also big buildings which offered accommodation and a meditation hall where the walls show pretty good art done by people who come through the Ashram nowadays. 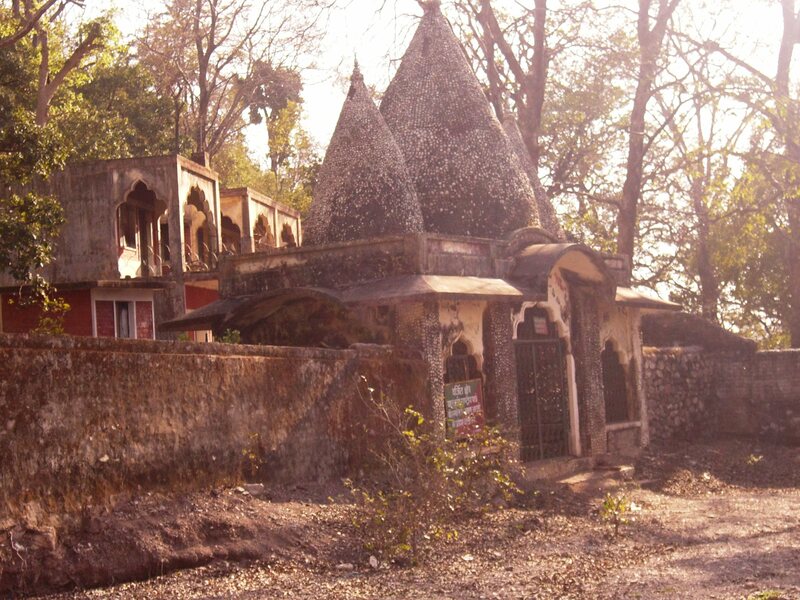 All of the buildings though have been plundered after the Ashram had been abandoned. Everything that could be sold or used for construction, like iron bars, tiles, toilet seats, etc. has been carried away. But in some rooms I still could find old treasures, like old magazines and brochures of yoga retreats dated back from 1969. The underground meditation hall is rather spooky. It consists of a long narrow hallway with little round meditation caves to both sides. Bats, rats and snakes dwell there; it is really a thrill to cross it with nothing but a torch on you. The rooftops of the big buildings are amazing, as they offer a spectacular view, especially during sunset. The mosaic designs of the floors might remind you of Antoni Gaudi’s Art in Barcelona. 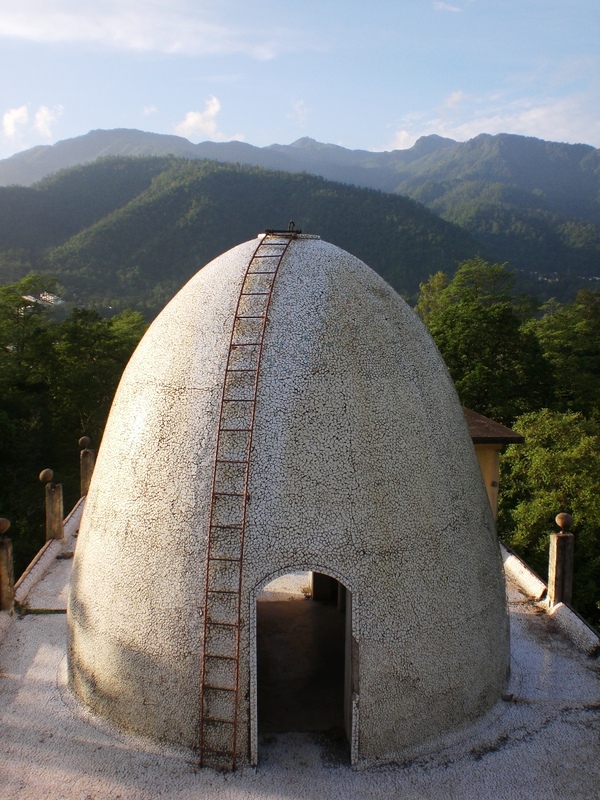 The former egg-shaped Water tanks are accessible by a ladder and very popular among musicians and yogis, as the inside’s acoustic and atmosphere are fantastic. Once we tried to spend a romantic night in one of the eggs. It was all but romantic; too much dust and insects along with wild sounds coming from the jungle. Locals say that leopards, elephants and other ferocious creatures roam there. Baba says that he once saw a five-headed cobra. Luckily I never had any encounter of that kind. The only thing I ever saw there were harmless peacocks and huge dung heaps, proofing the existence of elephants. Somehow now the Beatles Ashram belongs to the government. Before there was a governmental watchman there, who lived in the old reception building and was supposed to not let anybody in due to security reasons. But for a bit of baksheesh everybody was more than welcome; an alternative option is to sneak in from the backside. For a bit more baksheesh, you might even be allowed to organize jam sessions and parties there. For some reason now, the watchman has been replaced by a Sadhu called Langra Baba, or Limping Baba. Don’t ask me how this comes. It’s been a long time since I stopped searching for logical connections in this country, mainly because I don’t understand most of the explanations I get anyways and also because things sometimes just “are”. 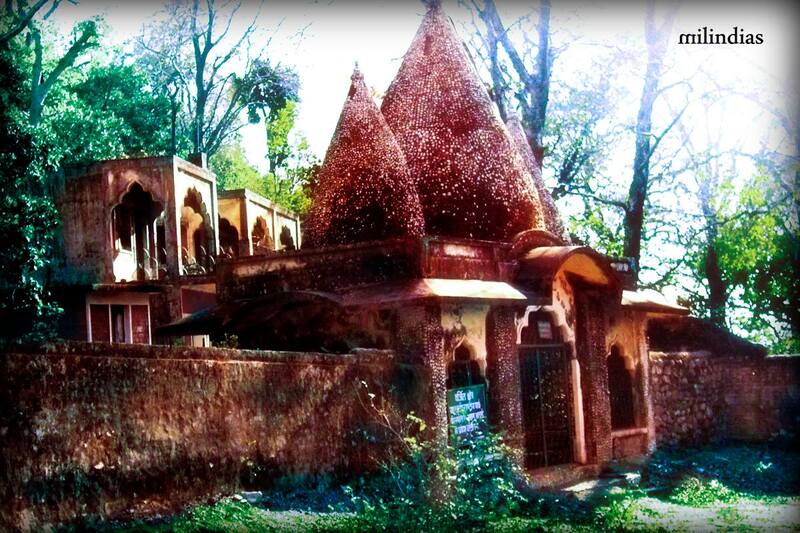 Seriously, don’t miss the chance to visit the Beatles Ashram while you are in Rishikesh. Take your time; it is worth to spend the day there.